The restoration of a garden requires design, judgement, historical knowledge and skill in planting and construction. Research determines the choice of trees, shrubs and plants, all carefully selected with regard to sound horticultural practice. Once restored, sourcing and prompt replacing of plants if required, and an overview or periodic renewal are of paramount importance. We were honoured to be awarded this project. 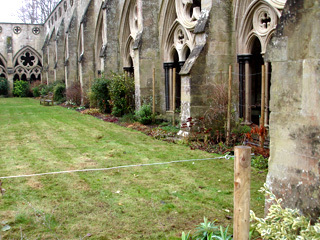 The Cloister Garth is a consecrated burial ground and as such needed some protection from the footfall of the visitors. To this end we replaced the shrub and rose borders, and planted wide borders of Buxus sempervirens. 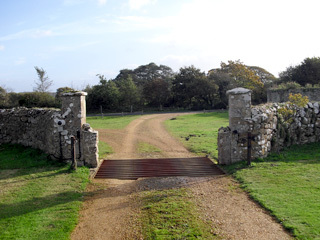 These provided a lush frame to the Garth, yet acted as a deterrent to random access. 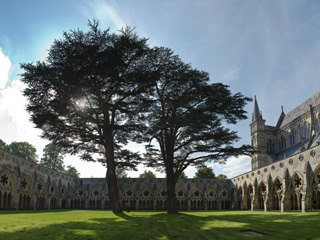 The Cathedral wished to use the grass area for the ministry of the building. 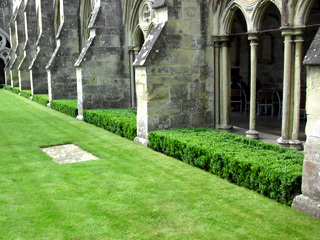 The whole area was levelled, grave markers lifted and then reset following the installation of new turf. The new arrangement is subservient to the magnificent architecture of the building. 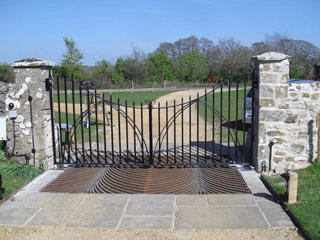 The existing entrance including gate piers were restored and the gates and cattle grid redesigned by us and crafted by Blacksmith Colin Phillips.